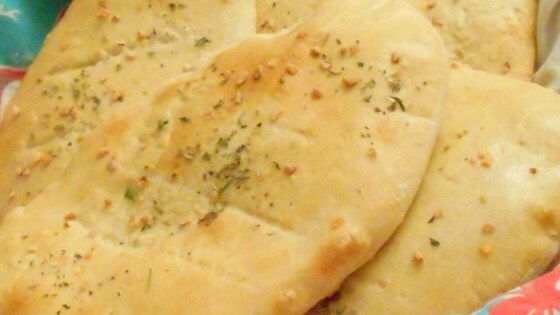 "This is an easy bread recipe that results in a soft, tender flatbread. My native Afghani friend says that this bread tastes better than the traditional bread she buys at the store. Enjoy!" This is easy to make and tastes really good. It makes pretty big breads so sometimes I make mine smaller but if you make them too small they can get hard. this is fun to make and turned out excellent. made it for my daughter's school project. i would not omit the caraway seeds...they add a lot to the flavor. I never made bread and it was very easy and delicious. I substituted sesame seeds for caraway seeds.